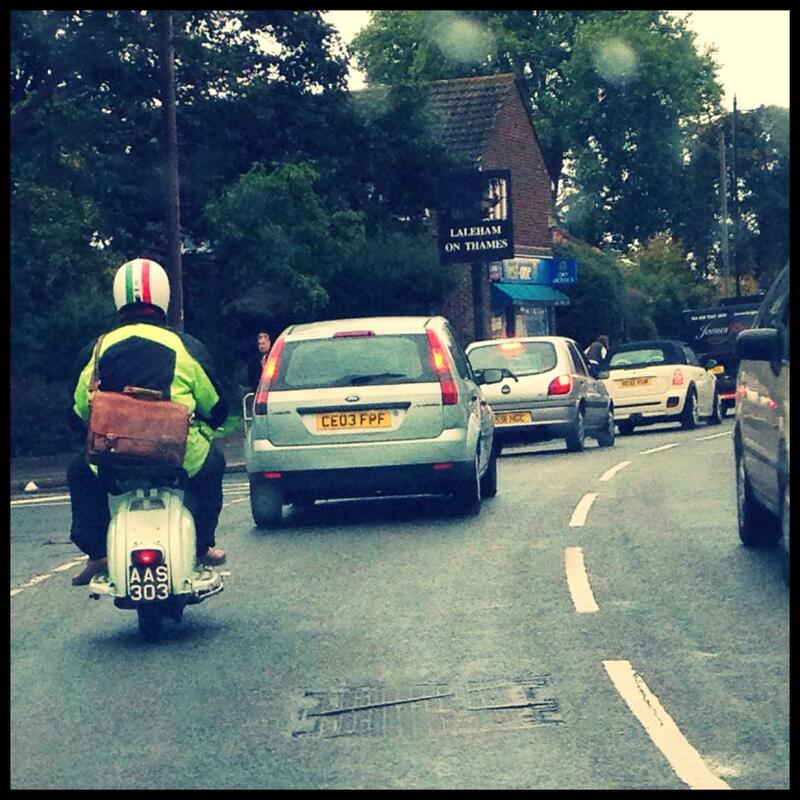 Amazing what you find on Facebook… one of my pals snapped me riding through Laleham on the way to work. Nice to know my brake light works! This entry was posted in Lambretta Imagery and tagged commute, Laleham, me, Series 2 by crocodilejock. Bookmark the permalink.